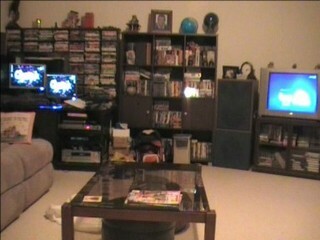 I spend a great deal of my time in my lounge room as it is the space I use to watch TV, movies and listen to music. It is also the space that I use my computer. I thought about what would make it the ultimate room, looking at both the entertainment features it would include and the simplest way to control it. I wanted to reach the practical limits of what technology can do for us. I came to the conclusion that voice control would always be the simplest way to control anything, so I set about voice controlling all the entertainment gear in the room. I wanted to turn my dreams into a practical reality. It was a lot of fun figuring out how I would achieve each aspect of the room so that it would work best for me. Now that all of the controls for the rooms’ entertainment are in place, the rewards of using the room are fantastic. I will probably be using this system until the day I die. There is only so much technology can do for us as technology is not magic and it has limitations as to what is practical. Saying that, we can achieve pretty much anything we want using today’s technology in a home environment. You may be surprised at what is possible right now, even with a modest budget of less than AUD$1000. My setup may look primitive using a 13 year old TV, and even older speakers, but these facets are purely aesthetic and the principles can easily be transferred to newer home entertainment systems. 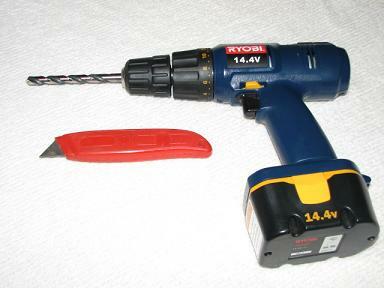 What makes this exciting is that it is very cheap to achieve if you are willing to do a bit of DIY. I am not sure if this will ever be possible if you are not willing to install some software and spend some time setting things up. This stuff is not available on the market yet, and if it does make it to market, it is likely to cost a lot more than it should. As with all computer systems, a restart once a week is normally all that is needed to revive the system in the case that it encounters a problem. 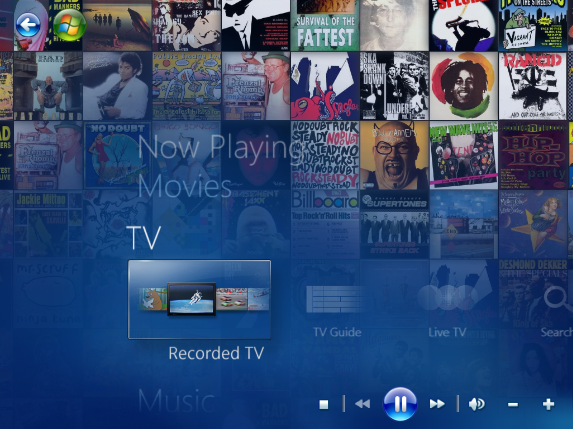 This system has made watching TV and movies, and listening to music to be much simpler and more relaxing. I simply tell the system what I want it to do. This article is a roundup of all the articles I have written about the technology I have placed in my Lounge Room. The video below shows what you can achieve in your own home over time on a very limited budget. 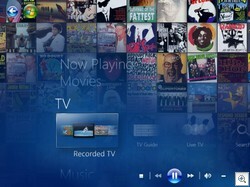 This system does much more than the current range of smart TV’s. Take a look. By combining all of the articles below, you can achieve a fully voice controlled entertainment system on a limited budget. All you need to do is plug a few things in, install some software, train yourself to use the system, and train the system to understand you. With a bit of patience and some simple tweaking, you will reach what I believe to be the practical limits of technology for home entertainment use. My Projects: My Home Theatre PC: I wanted a computer to look after all of my media. By using a computer, the options of what I can make the system do are limitless. This has significant benefits over what is generally available on the market. 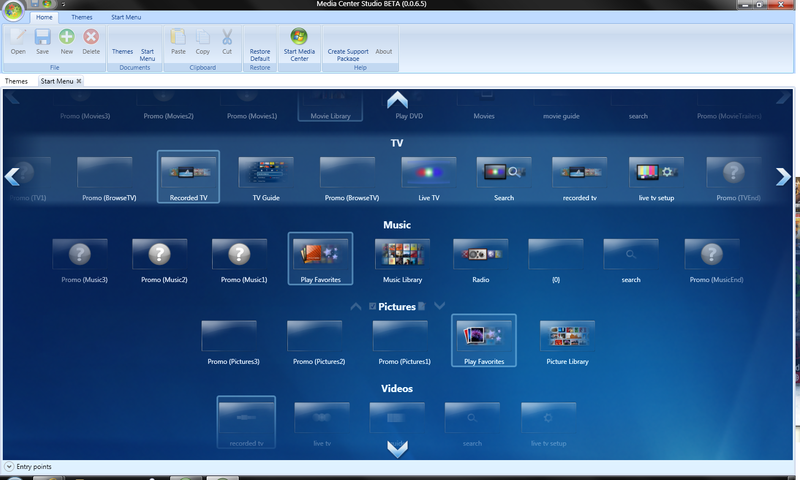 By using Windows Media Center, I have one single place to access my music, movies and TV. 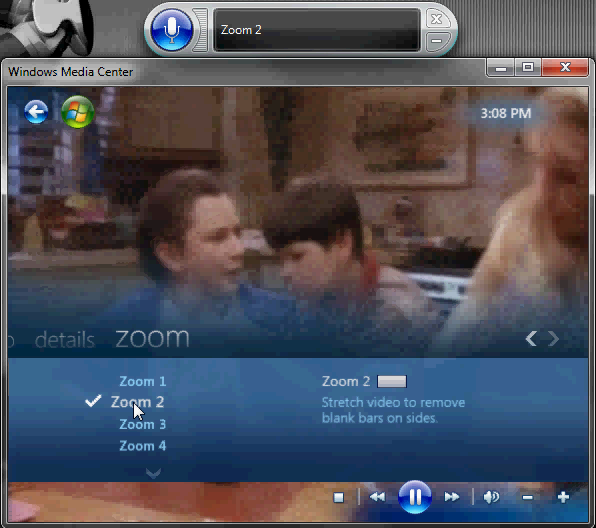 Impressively, I am able to record four TV channels at once. 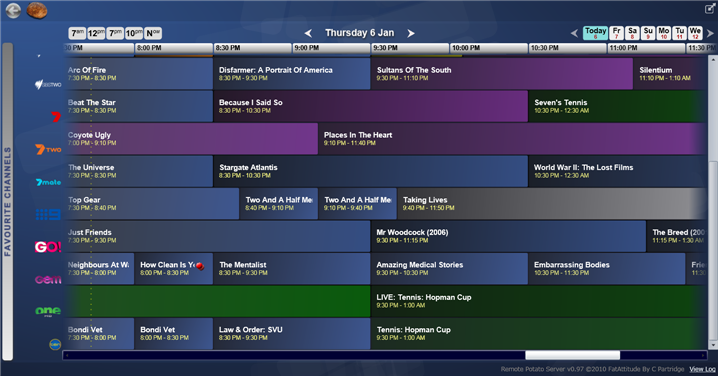 By installing some extra software on top of Windows Media Center, I am able to remove commercials, download a movies meta data (cover art and other cool stuff), and remotely schedule the system to record when I am not at home. This system lets me do everything I currently want the system to do. If there is a new feature I decide I want in the future, I can install suitable software to achieve the task. 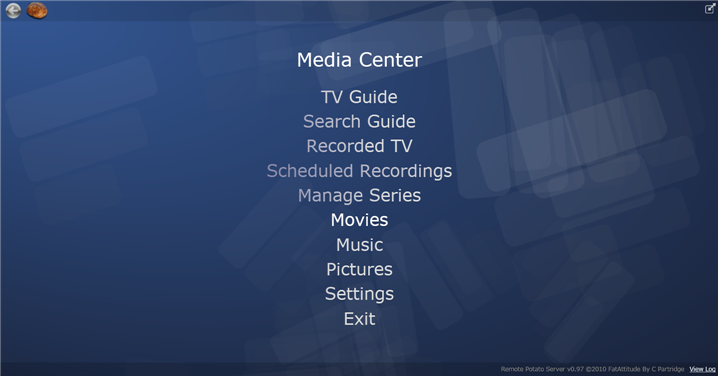 How-to: Voice control Windows Media Center: I came to the conclusion that voice controlling the system would be the best way to control the room. This article explains how I went about getting the computer to respond to my voice. It is based upon Windows Speech Recognition Macros and it works really well. 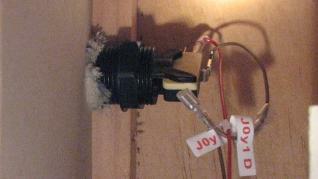 Lots of training was needed before this worked correctly, but now I am really quite impressed with the results. There is no way that I will go back to using a traditional remote after seeing how easy it is to control the system with voice. This article also explains environmental limitations and solutions for these issues, so that you can increase the reliability of the system in your own home environment. My Projects: My Gadget – One button to control everything around the house: I needed a way to trigger the voice control system so that it would respond to my voice. If I did not use a trigger, the computer would listen to everything I said and it would not be able to decipher if I was talking to it, or another family member. It also served the purpose of turning the volume of the TV down so that the microphone would pick up my voice instead of the sound coming out of the TV itself. I needed a one button IR remote and I couldn’t find one on the market that was appropriate, so I made my own by altering the open source TV-B-Gone kit. 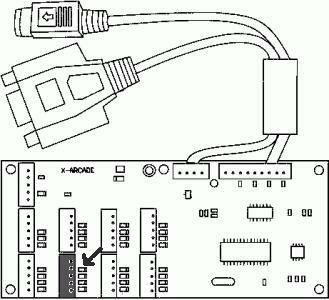 How to: Control TV, VCR, DVD, cable and more with voice using USB-UIRT: By using the systems above, I was still lacking the means to turn on my TV and stereo with my voice. That is where the USB-UIRT comes into play. 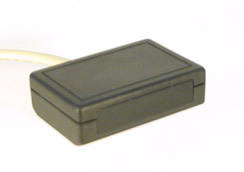 It is an infra red receiver and transmitter that can send codes as defined by the computer. By using a USB-UIRT, I am able to walk into the room, trigger the voice control and then follow that with the voice command “TV on”. This in turn will turn the TV and Stereo on. 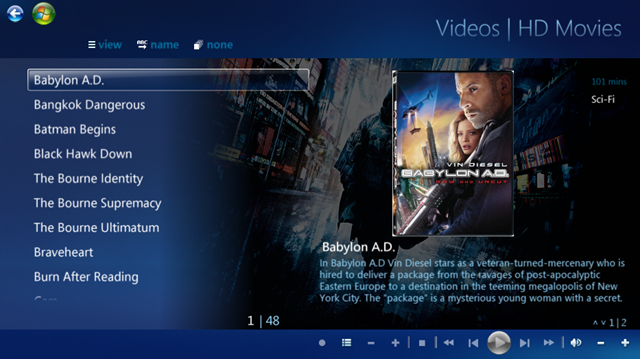 An added advantage of this is that it can be programmed to control my other audio visual gear. When I have finished playing a video cassette tape, the command “Return to Media Center” will stop the video, put the tape into rewind and then 2 minutes later eject the tape and turn off the VCR. This is a fantastic, but little known piece of hardware. I have not seen it used for this purpose before, though it is perfect for the job. How-to: Use an arcade controller in your chair to trigger voice control: I wanted an instant way to trigger the voice control of my home theatre PC as My Gadget would have been annoying to find and use regularly, no matter it’s size and ease of use. I figured that the best way to trigger the voice control would be to have a button directly next to my hand while I was sitting in my chair. I achieved this with an arcade controller and an arcade button. The results are everything I hoped they would be. 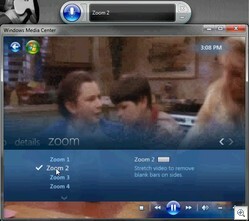 I can control everything electronic in my lounge room from my chair using the single button and my voice. In short, this entire system works very well. It is very reliable when it comes to understanding my voice. I feel I will be using it in one form or another throughout the rest of my life. There is no easier way to control my lounge room than using my voice. The costs have been fairly minimal at roughly AUD$150, excluding the PC and TV. While it may be a bit geeky for some, my aim was to explain how to do this so it would be cost effective and simple enough for everyone to achieve in their home. This is why the articles are long and step by step. It is not perfect yet. I am required to reboot my Home Theatre PC roughly once a week. This refreshes the voice control. Other times I get away with restarting a single program to get things running again. The scripts I have written are also not perfect, though they have had many hours of work done on them. Some individual commands have taken in excess of 20 hours to get working correctly. I have a few ideas of how to improve the system to make it more reliable, but I will gradually explain these improvements as I am able to test them out. Making the environment suited to voice control, and splitting up the tasks between various cheap computers will greatly improve the reliability of the system. This setup has been a great proof of concept of a bunch of ideas I came up with over a year ago. After a lot of hard work, I am now able to enjoy the system daily. Even with the few reliability issues, I am getting far more benefit from the system now than I expected I would. This is not a gimmick. I am in the process of purchasing my first house where I will start working on phase two of this project. It will incorporate all of the features above and will have a strong focus on reliability and getting technology working for us throughout the rest of the house. While computer graphics, system reliability and speed are all bound to improve significantly over the next 50 years, I don’t see that there are huge benefits to purchasing whatever is new on the market. I have tried to achieve the perfect home theatre control system, by ignoring the usual market trends, and focusing on what I wanted the technology to do. I have for the most part achieved this, and I am loving it. I look forward to seeing which of my ideas above become part of our everyday life into the future. This isn’t a bad hobby to have! If you liked this article, please stick around and check out some of the other articles I have written at Inspect My Gadget. 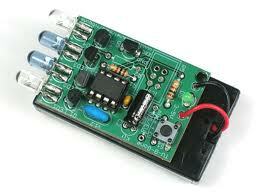 My Projects: My Gadget – One button to control everything around the house.